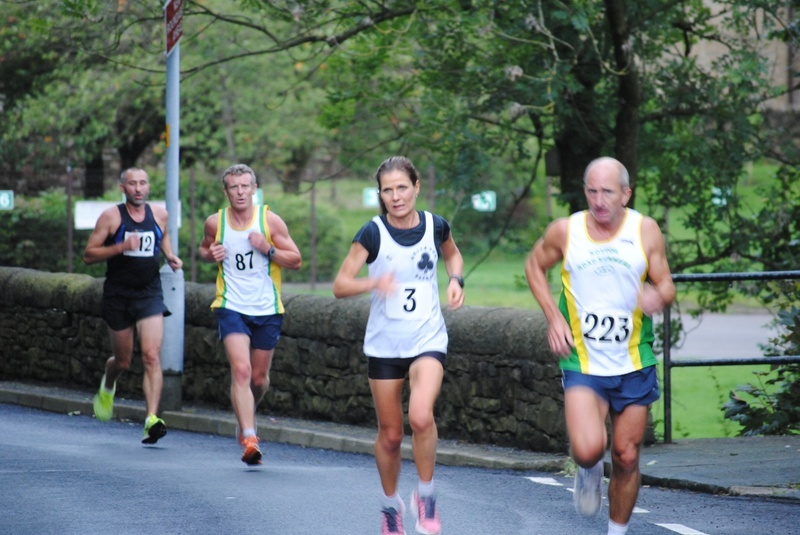 Mid-August’s Saddleworth 6 race saw twelve Belle Vue Racers take part in this well organised event. After a sudden downpour and a drenching just before the race, everyone headed up the hill to set off … and, thanks to some runners shouting “BOLLAAAARDS!”, they made sure we missed them as we all ‘flew’ down the hill! The many very friendly, encouraging marshals made this a fantastic event where Simon Stead (38:19), Adam Barber (40:39) and Nigel Sedman (40:55) were the first Belle Vue men home. Well done also to Alison Sedman (39:43), Annie Hirch (45:24) and Anne Webster (50:51) who came in as the first three BVR women.